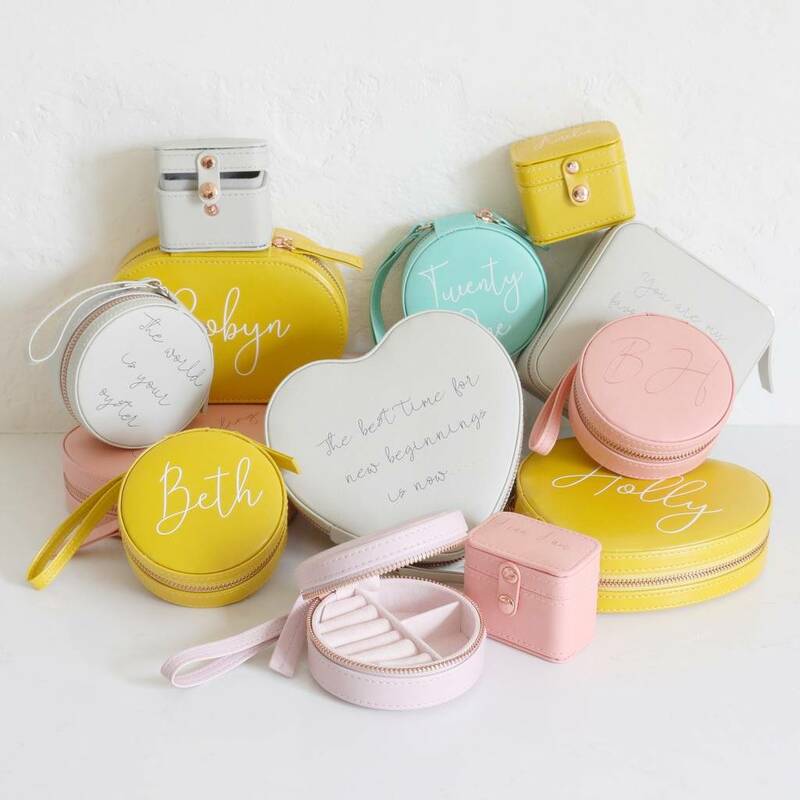 A sweet and simple personalised jewellery case made of yellow faux leather, designed by the Lisa Angel creative team. This gorgeous oval jewellery case is the perfect piece to pop in your luggage to keep your jewellery safe when you're on the move. Made of vegan leather and designed by us, this stylish jewellery box features velvet imitation ring rolls, sections, and pockets for you to tuck your fave pieces neatly into, plus a rose gold zip fastening to keep all your bits tucked neatly inside. The surface of your bright jewellery box will be personalised with your wording of choice, printed onto the lid in white. 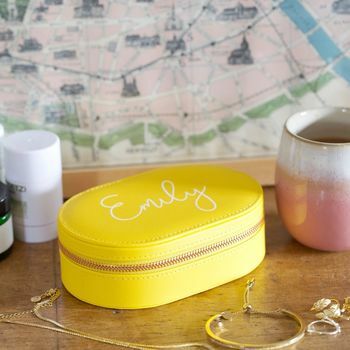 The top of the oval jewellery case will be printed with your name, message or wording of your choice in white, and has space for up to 9 characters including spaces and punctuation.